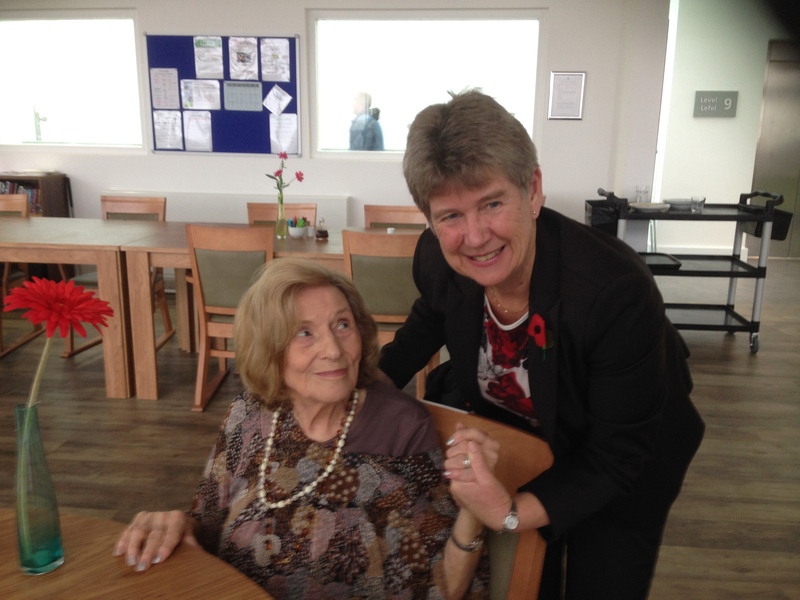 Jane was delighted to be invited to wish Audrey McDougall a very happy 90th Birthday, at her home in Golau Caredig in Barry. Golau Caredig is the Vale of Glamorgan’s first extra care housing scheme, providing affordable, independent living accommodation for people over 55. The scheme, built in partnership by the Vale of Glamorgan Council and Hafod Care, benefited from over £5m from the Welsh Government’s Social Housing Grant Programme, helping to regenerate the Barry area and create 50 local jobs. Joined by her daughter and son-in-law, the party for Audrey also included the Vale Brass Band, and friends and neighbours in the wonderful Golau Caredig restaurant.